For those students who thought that my only purpose in life is to aggravate them. There is a method and reason to my madness. 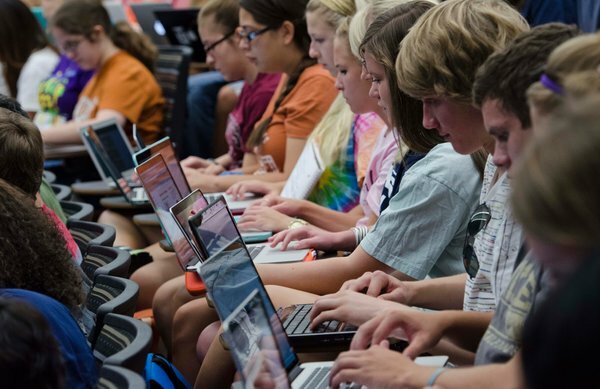 The findings — from an experiment in which 901 students in a popular introduction to psychology course at the University of Texas took their laptops to class and were quizzed online — demonstrate that the computers can act as an aid to teaching, not just a distraction. Moreover, the study is the latest to show how tests can be used to enhance learning as well as measure it. The report, appearing in the journal PLoS One, found that this “testing effect” was particularly strong in students from lower-income households. Psychologists have known for almost a century that altering the timing of tests can affect performance. In the past decade, they have shown that taking a test — say, writing down all you can remember from a studied prose passage — can deepen the memory of that passage better than further study. The new findings stand as a large-scale prototype for how such testing effects can be exploited in the digital era, experts said, though they cautioned that it was not yet clear how widely they could be applied. “This study is important because it introduces a new method to implement frequent quizzing with feedback in large classrooms, which can be difficult to do,” said Jeffrey D. Karpicke, a professor of psychology at Purdue, who was not involved in the study. He added, “This is the first large study to show that classroom quizzing can help reduce achievement gaps” due to socioeconomic background. On the first day of their Psych 301 course in fall 2011, James W. Pennebaker and Samuel D. Gosling — who have taught it jointly for years — instructed all 901 students to bring a laptop to class, if they had one (they all did). The students then learned why: They would be taking a short quiz in each subsequent class on their computer. The quizzes would be short and personalized — seven questions that the entire class would answer, and one tailored to each student, usually a question from another quiz that he or she got wrong. In place of a final exam, grades were based on cumulative quiz scores. Most students hated it at first, Dr. Pennebaker said. Dr. Gosling offered one explanation. “For the first few weeks, every time their friends went out drinking, they couldn’t go; they had yet another test the next day.” Their co-author was Jason D. Ferrell, also at Texas. By the end of the course, however, the class had outperformed a previous Psych 301 class of 935 students that used midterm exams — scoring 10 percent higher on a subset of 17 questions that appeared on both classes’ tests. The quizzed group also got slightly higher grades, the study found. The grade improvements were sharpest among students from lower-income backgrounds — those from poor-quality schools “who were always smartest in class,” Dr. Gosling said. By forcing the students to stay current in the reading and pay attention in class, the quizzes also taught them a fundamental lesson about how to study, the authors said. They also cut down on another kind of denial — that most hallowed of college traditions, cutting class.